CAN anybody stop Leicester City? 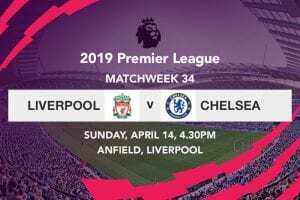 Monday’s 2-1 victory over Chelsea sees the Foxes sitting top of the English Premier League – from which they were so nearly relegated last season – as we enter the last round before the holiday fixtures. While online bookmakers have stopped short of installing Leicester as title favourites, Claudio Ranieri’s men have come in to $21 in the outright betting at www.CrownBet.com. That leaves them behind only Manchester City ($2.25), Arsenal ($2.60), Manchester United ($9) and Liverpool ($19). A win for Leicester this weekend would see that price fall further still, especially if a few other results go their way. Before we delve into the best value bets of Premier League Matchday 17, we’ll leave you with this little bit of trivia: in the last six seasons, only Liverpool (2013-14) have failed to win the Premier League after leading on Christmas Day. Can it get any worse for Chelsea? The loss at Leicester leaves them mired in 16th place, just one point off the relegation zone. A home win against 19th-placed Sunderland is a must, or else it might be lights out for Blues boss Jose Mourinho. Saturday’s clash on Merseyside is shaping up as a belter. Leicester may be top of the 2015-16 Premier League table and unbeaten since September, but they will have their work cut out against a potent Everton attack led by the dangerous Romelu Lukaku. Louis van Gaal is under immense pressure after last weekend’s loss to Bournemouth left Man United six points adrift in the title chase. Anything but a victory against 18th-placed Norwich would be a disaster, especially when you consider the Canaries have won only once in their last 19 away games in the EPL. Spurs missed their chance to crack the top four last week as Newcastle United dealt them their first defeat since the opening day of EPL 2015-16. Mauricio Pochettino’s men will hope to right the ship this Saturday against a Southampton side which has slipped to 12th after three defeats in four games. Stoke and Crystal Palace have each suffered only one defeat in their last six Premier League fixtures – both against Sunderland. The Potters are notoriously tough to beat at home, but sixth-placed Palace have won 10 of their last 15 away games – a record which includes victories at Chelsea and Liverpool this season. The Baggies will be pleased to have taken six points from a tough six-round stretch, although it would have been sweeter still if they’d held on for a win against Liverpool on Sunday. They face a different test this week in Bournemouth, who are clear of the drop zone after back-to-back wins over Chelsea and Man United. 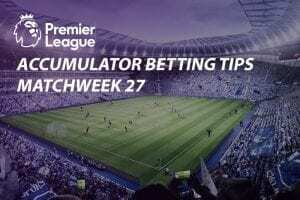 Surprise wins over Liverpool and Tottenham have seen the Magpies extricate themselves from the relegation equation for the time being. They will be eager to make it three from three against Aston Villa, who are on the fast train to the Championship after 15 matches without a win. With five wins in their last seven Premier League outings, the Hornets – widely tipped to be the worst of the promoted teams this season – have quietly moved up to seventh place. That puts them two spots ahead of Liverpool, whose revival has rather stuttered after a loss to Newcastle and a last-gasp draw against West Brom. They came oh-so-close to sharing the spoils with Man City, but seven losses in 10 games means Swansea are now well and truly in the danger zone. Also looking to get back on track are West Ham, whose fast start has come undone after six EPL matches without a win. Although they occupy second and third respectively on the EPL table, neither Arsenal nor Man City have enjoyed any great form of late. 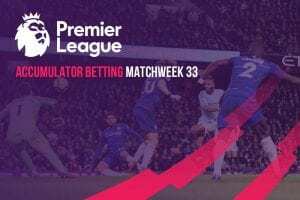 Both notched wins against relegation battlers last week, so this presents an entirely different test for both parties as they look to keep pace with Leicester.